Over 60,000 girls have learned to code and be creative with technology since CoderDojo first started in 2011. 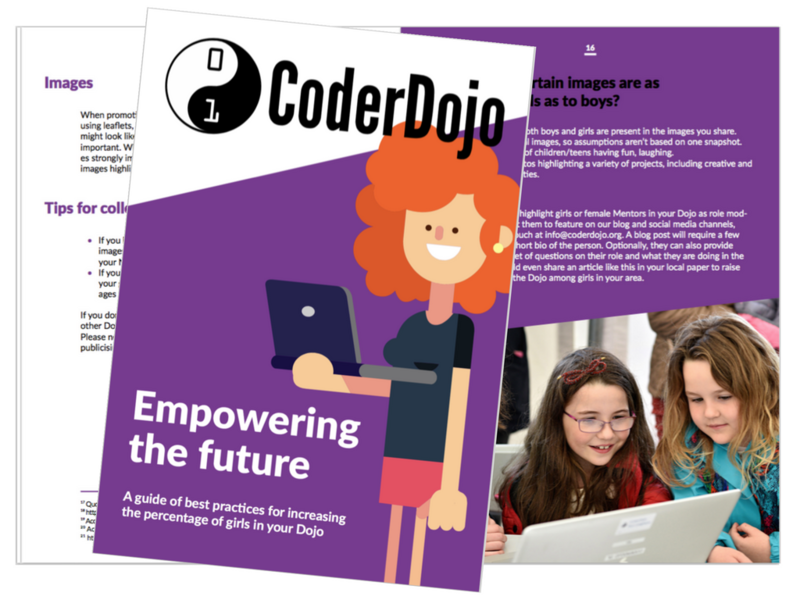 In March 2017 we launched the CoderDojo Girls Initiative. It aims to increase the number of girls attending a CoderDojo from 29% to at least 40% by 2020. By the end of 2018 we had increased to amount of girls involved to 33% of attendees. 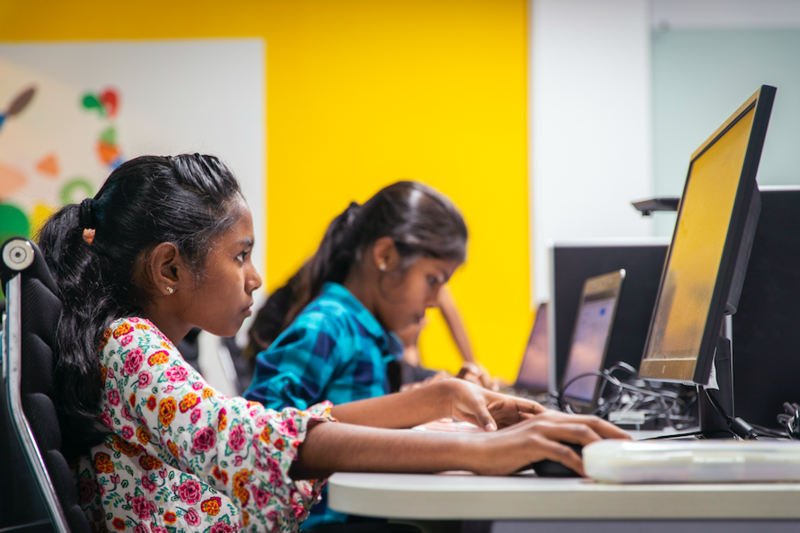 We want to continue to increase the number of girls who have the opportunity to create with code and have them realise that technology is not only for them, it needs them. The Initiative focuses on four key areas: developing and improving learning resources (including beginner App Inventor, wearables and taster Mini-Sushi cards), conducting and learning from research (such as our youth survey), highlighting female role models (including Mentor Gemma Cagney and Ninja, Siofra Kelleher) and developing a Guide of best practices. See what we’ve done so far and read our guide for Dojos below! 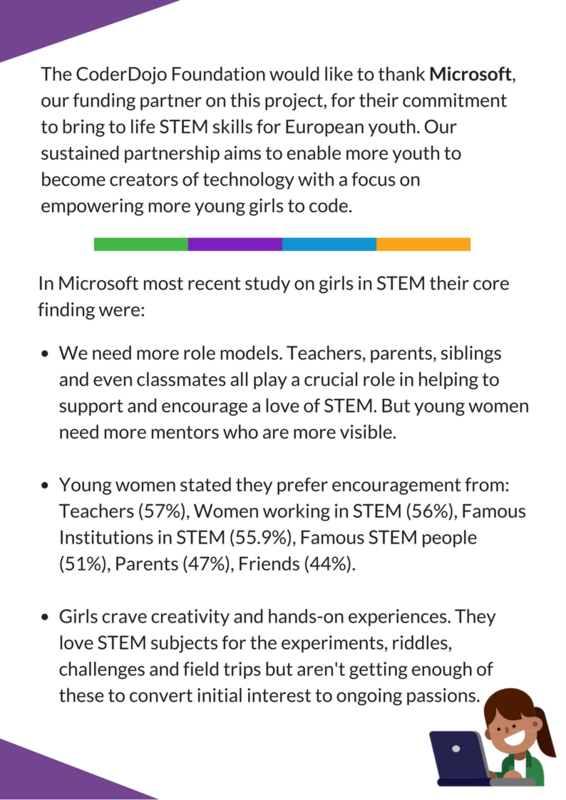 A recent study found that girls prefer encouragement from women working in STEM (56%) over encouragement from their parents (47%) or even their friends (44%). For International Women’s Day 2019 we are highlighting such role models using #RealRoleModels. Dojos benefit from having volunteer mentors with different skills and backgrounds who provide support and encouragement to CoderDojo youth. 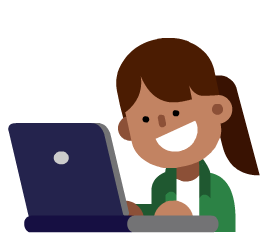 By volunteering a couple of hours of your time each month, you can have a real impact by increasing the number of girls learning to create apps, websites, games, and hardware projects through CoderDojo. Anyone can download and print our ‘Empowering the Future’ guide for free! This is our most comprehensive guide yet of practical approaches Dojos have tested to engage and sustain girls. 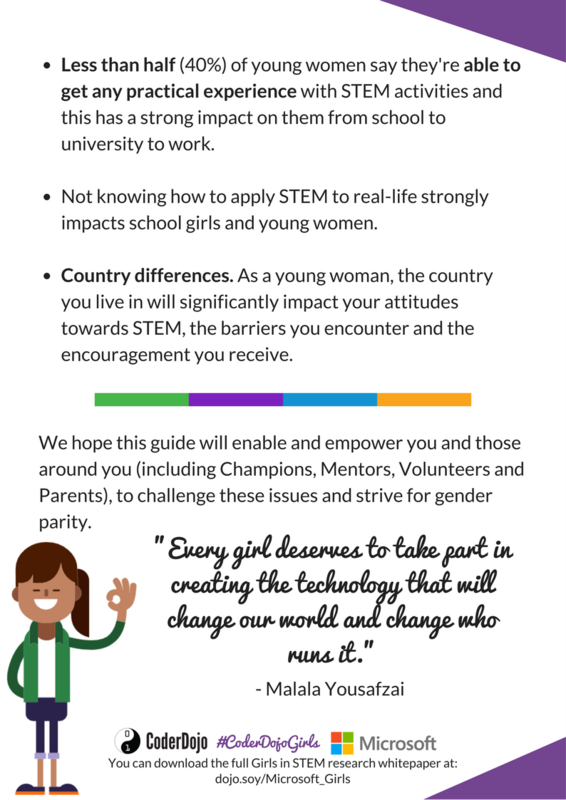 ‘Empowering the Future’ Guide in English! ‘Fortaleciendo el futuro’ guía en Español! ‘Diamo potere al futuro’ guida in Italiano! importance of and ways to increase access to female role models in your Dojo. 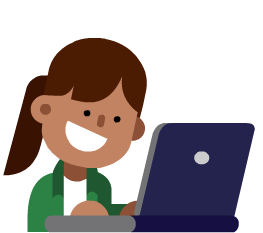 Find out more about the other resources created as part of the CoderDojo Girls Initiative here. You can also share insights or ask questions in relation to the Initiative or guide on our Community Forums.